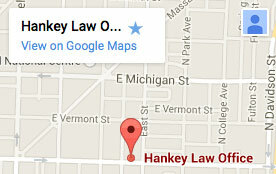 Hankey Law Office > FAQS > If someone has other benefits, are their Social Security Disability Benefits affected? If Someone Has Other Benefits, Are Their Social Security Disability Benefits Affected? When someone is in need of Social Security Disability Insurance benefits due to a condition that prevents them from working, they may already be receiving other benefits. While some of these benefits do not affect the amount that a person receives in SSDI payments, others may prevent them from receiving the full amount of their benefits. Benefits that affect SSDI benefits include worker’s compensation, civil service disability benefits, government retirement benefits based on disability, and state temporary disability benefits. Contact the Indianapolis Social Security Disability attorneys if you need more information.